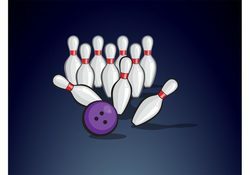 The Wild Game provides an up-to-date bowling experience that caters more to the casual bowler and having fun than to the serious bowler. It also has the reputation for serving some very good food (hamburgers are great!) and appetizer items. Come join us and have some fun! Meets the 2nd Monday of the month at 7 PM at The Wild Game. Cost: $50/lane/hour (to be divided by the # of people present). The Wild Game is a newer place that has a restaurant, bar, arcade game room, shuffle board, darts, and of course 8 lanes for bowling, with huge screens and great music! © Evergreen Newcomers and Neighbors, All Rights Reserved.